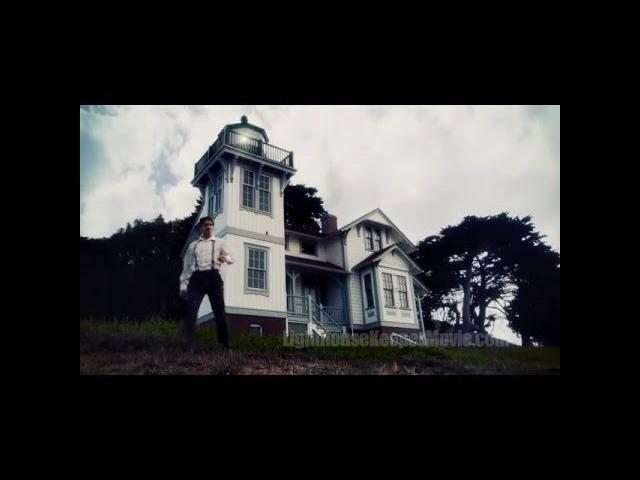 Edgar Allan Poe"s Lighthouse Keeper (2015) is directed by Benjamin Cooper. This trailer is just all over the place, way too busy. It looks like they just took all the action scenes and decided to cut some from every one of those scenes and make a trailer with words linking them together. Vernon Wells, Matt O"Neill, and Rachel Riley star in Edgar Allan Poe"s Lighthouse Keeper. Thunderhead Entertainment LLC has just inked a deal with ITN Distribution to handle foreign sales of their latest movie, Edgar Allan Poe"s LIGHTHOUSE KEEPER. "I"m beyond thrilled to be working with Stuart Alson and his team at ITN," said Benjamin Cooper (PRIMITIVE), the movie"s director/producer. "The genre is their bread and butter. It"s a great fit." ITN Distribution will represent LIGHTHOUSE KEEPER at the upcoming Marche Du Film. The deal follows the world premiere at the San Luis Obispo International Film Festival where LIGHTHOUSE KEEPER scored a win of Best Narrative Feature in the Central Coast Showcase. In the movie, a young man awakens alone on a remote beach, marooned there by a violent storm. Above the the rocky crags, a lighthouse stands like a sentinel. The man seeks the help of Walsh, the enigmatic lighthouse keeper. Walsh insists they are the sole inhabitants of the peninsula. But the man is haunted by fleeting glimpses of a beautiful young woman, and plagued by visions of hideous phantoms reaching out from the depths. As this horror tale races towards a mind bending finale, the man must confront the grotesque denizens of the night, or heed the lighthouse keeper"s cryptic warning to "Always keep a light burning!" Executive Produced by Jeff Miller (AXE GIANT, THE BURNING DEAD), and starring: Vernon g Wells (MAD MAX 2: ROAD WARRIOR), Matt O"Neill (PRIMITIVE), Rachel Riley (8213: GACY HOUSE), Monty Wall (THE BRINK), S. Daxton Balzer (PRIMITIVE), Carl Edge, John Spencer File and Erik Chavez. Andrea Wiersma (Puppet Master X) handled special make-up effects, and Gary Jones (EVIL DEAD 2) contributed digital effects. Thunderhead Entertainment LLC specializes in handsomely mounted "high concept" genre films with an emphasis on strong story, characterization, and production value. Titles are available at most major video outlets such as Walmart, Fry"s, Amazon, NetFlix, iTunes, Vudu and Youtube. First trailer for the supernatural thriller, Edgar Allan Poe's Lighthouse Keeper, starring Vernon g Wells (Mad Max 2: Road Warrior), directed by Benjamin Cooper (Primitive), Executive Produced by Jeff Miller (Axe Giant, The Burning Dead). A castaway awakes on a beach with wounded forehead and sees a woman leaving the place. He takes his satchel and follows her. While climbing a cliff, he falls and faints. He wakes up with amnesia in a lighthouse and the keeper Walsh explains that they are isolated in a remote peninsula where nobody can leave. The only means of transportation to San Francisco is a ferry that will arrive two weeks later. Last but not the least, he warns that he shall always keep a light burning during the night. He goes to the woods in the morning and meets the woman again. He learns that her name is Nora and they fall in love with each other. When he returns to the lighthouse, Nora explains that Walsh is crazy and she cannot go there. During the night, the young man blows out the candle and sees spectral creatures. What are the secrets of Walsh, Nora and the lighthouse?